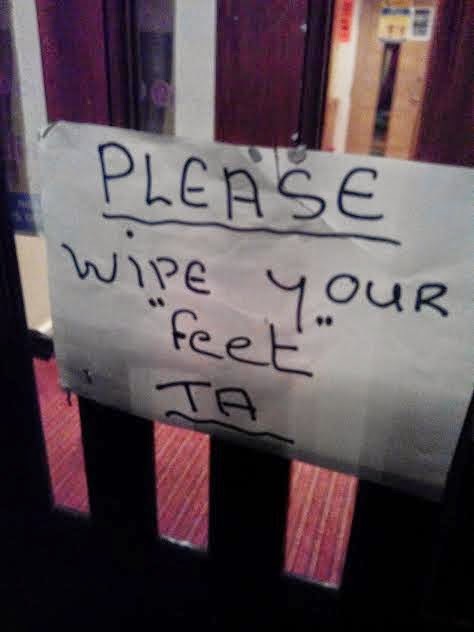 The “Blog” of “Unnecessary” Quotation Marks: Wipe Your "Feet"
I'm not sure what all they want you to wipe here, but let's just assume it's a good idea. Thanks Adam. Well, It is not really your feet that you're wiping but your shoes.